Any logistics supply chain is built to ensure the smooth flow of goods, information, resources and services, broken down into multiple stages. At each stage, complex detailing and the degree of scrutiny required in achieving 100% quality and compliance are crucial. Trucking services, which form the bulk of land-based freight transport, involve logistics support on several fronts – transactional, payment, and data processing – apart from managing customer relationships and extracting vital information, which help in setting and meeting strategic business objectives. Outsourcing your logistics processing requirements to Outsource2india (O2I) guarantees increased profitability without the need for frequent capital investments; reduction in critical and non-critical errors; and faster turnarounds at each stage of the logistics chain. The result – substantial rise in business and operational capacities. 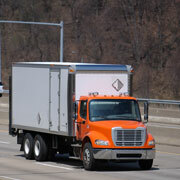 Take a look at the multiple levels at which O2I's outsourcing services benefit your trucking business. Check all bill items against contracted terms – freight classification, rates, discounts, charges, weights and volumes, etc. Verify bills against original shipment documents such as bills of lading, cargo manifests, etc. Check for duplication by cross-mapping bill reference numbers against freight invoices, bills of lading, etc. What sets O2I's freight receivables processing apart? Each data entry specialist is trained to process large volumes of bills of lading (BOL), focusing on key data fields and special requirements which need to be validated. Regular training and refresher courses ensure that the team retains the expertise required for quick, error-free bill processing. The accurate rating and classification of freight items, from small to large categories, is achieved by a mix of trained resources and system automation, reducing inaccuracies and processing time. O2I's auditing service ensures that every freight bill is validated against relevant documentation. This includes verifying the verbal classification of freight items on the BOL against the standard National Motor Freight Classification (NMFC) guide. Facilitates smooth freight operations across numerous domestic and international markets. Reduces revenue leakages of up to 12% with pre-audit verification of freight bills. Manages cash flows and recovery of excess payments without spending additional time and efforts. 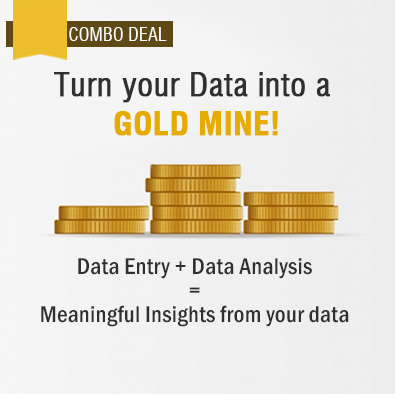 Generates crucial business reports and analytics for strategic decision-making. Save valuable time and increase productivity of your truck drivers and other personnel by outsourcing your BOL generation activities to O2I. Our bespoke processing of electronic BOLs using trained resources and the latest technology ensures that BOLs are received at distribution centers before your truck drivers do. O2I's BOL services also include data capture and mining of business-critical information, which can be tailored to meet your specific business objectives. Improved levels of driver productivity and reduced wastage of time. Increased efficiency in BOL generation, reducing errors and processing time. Reduction in costs and resources, while increasing capabilities of processing larger volumes of transactions. As a pioneer in providing outsourced business processing services, O2I has substantial expertise in leveraging technology to meet a client's business and operational requirements. The success of a logistics supply chain depends on the timely receipt and onward transmission of freight information. Among our many product offerings are software packages which are designed to give you complete control over every aspect and stage of the logistics supply chain – picking cargo from the point of origin to the delivery at the final destination. With O2I software, you can track shipments virtually in real-time, managing multiple transactions from the convenience of a simple desktop application. Facilitates seamless flow of communication throughout the complete supply chain. Reduces costs and investments in infrastructure necessary for maintaining manual control. Provides enhanced customer services and increase business productivity. Provides real-time technical support services. O2I has the necessary experience and expertise to take over your CRM activities and manage them in a productive and efficient manner, with no appreciable increase in costs. Our CRM services package is an integrated product offering voice, data and Internet services, using the latest technology and expertly trained resources. The bespoke CRM package comprises inbound and outbound calling, email and 'live' chat support to deliver quality customer services to your existing customer base and bring in new business through effective marketing of varied products and services. Retain customers and build loyalty with value-enhancing services. Effectively leverage technological advances without making substantial capital investments in technology and infrastructure. Improve lines of communication with existing and new customers. Increase the visibility of your business in targeted markets across the globe. O2I provides comprehensive logistics services for trucking companies, resulting in increased business efficiencies, resource productivity and ultimately, profitability.